The weather in Rishikesh is good throughout the year, however the best time to visit Rishikesh is from October to March when the weather is at its best. Which are the top 5 must visit places in Rishikesh? Triveni Ghat, Lakshman Jhula, Neelkanth Mahadev temple, Ram Jhula and Parmarth Niketan are top 5 places that you must not miss when you go to Rishikesh. 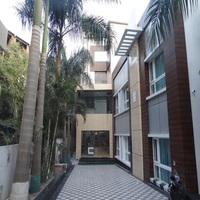 How can I get attractive discounts on hotels in Rishikesh? 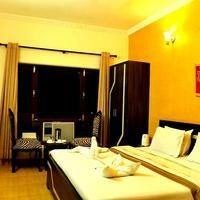 You can get attractive discounts for hotels in Rishikesh through Cleartrip. If you are booking tickets in advance for a holiday season, then they will provide a lot of discounts on travel and accommodation. Can unmarried couples stay in hotels in Rishikesh? 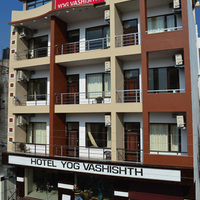 Yes there are several hotels in Rishikesh where unmarried couples are allowed to stay. However, it is essential to carry their valid ID proof (such as voter ID, Aadhar card, etc). You may have to show your ID at the time of checking in. How can I to find hotels near Ram Jhula? To find hotels near Ram Jhula ensure that you do an advanced search at Cleartrip. Type the search query hotels near Ram Jhula on Cleartrip website and you will get the list of hotels according to the requirements. How do I book hotels in Rishikesh near Lakshman Jhula? Before booking hotels near Lakshman Jhula at Cleartrip ensure to check the ratings of each hotel. Type the search query “ hotels near Lakshman Jhula ” and you will get the bunch of hotels. Do Rishikesh hotels offer gym facility? Yes, but there are not many hotels with gym facility in Rishikesh. If you are looking for a hotel with gym, then Mahayana Resort and Spa can be booked online through Cleartrip. What can I buy from Rishikesh? Wooden arts, Garhwali jewelry and attire, paintings, precious stones, religious and decorative items are few things that you can buy from Rishikesh. Can you tell me which are the popular places to shop in Rishikesh? Most popular places for shopping in Rishikesh are Lakshman Jhula market, Ram Jhula market and Rishikesh main market. Can you list the top 5 temples in Rishikesh? Nilkanth Mahadev temple, Kunjapuri temple, Parmarth Niketan temple, Bharath Mandir Rishikesh and Geetha Bhawan Rishikesh are top 5 temples that you should visit for sure during your visit to Rishikesh. What are the famous sightseeing spots in Rishikesh? Triveni Ghat is a famous place for sightseeing and that should be in your bucket list. Bharat Mandir, Rishikund, Lakshman Jhula, Ram Jhula, Neelkanth Mahadev Temple are few other famous sightseeing spots in Rishikesh. What are some must do things in Rishikesh? There are numerous adventurous activities that one can indulge in Rishikesh. River rafting, hiking, camping, trekking, cycling, ziplining, rock climbing are some of the things to do in Rishikesh . Suggest a few hotels in Rishikesh that have coffee shop? 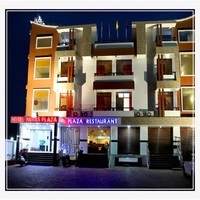 Hotel Leisure Palace, Ganga Beach Resort, Hotel S K International are few hotels with coffee shop in Rishikesh. What activities and experiences can I enjoy in Rishikesh? One can enjoy a lot of adventurous activities at Rishikesh . River rafting and trekking are among the top activities in Rishikesh. 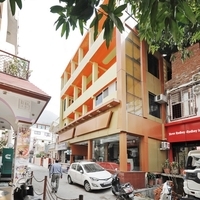 How to book a room for international guests near Ram Jhula Rishikesh? 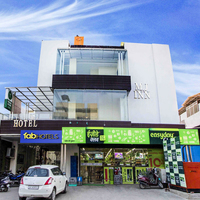 Booking a hotel near Ram Jhula is very easy. All you have to do is choose ‘ hotels near Ram Jhula ’ from the localities drop-down on the Rishikesh Hotels page on Cleartrip. 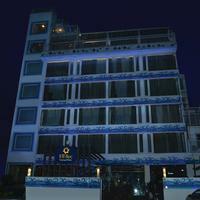 You can book the most luxurious hotels for your international guest at Rishikesh with the help of Cleartrip. Which are some guest houses in Lakshman Jhula in Rishikesh? 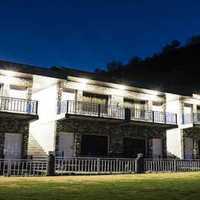 Sonu Guest House, Dev Ganga Guest House and Maa Ganga Guest House are few guest houses in Lakshman Jhula that you can find at Cleartrip. From where can I book a good resort for a day outing in Rishikesh? Book a fun filled resort day outing in Rishikesh with your friends and family through Cleartrip. Experience river rafting and jungle safari by booking the best resort for a day outing in Rishikesh. 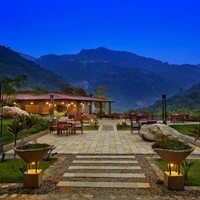 Can you name some 5-star hotels in Rishikesh? 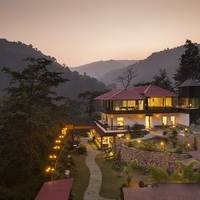 Ananda in the Himalayas is one of the top 5-star hotels in Rishikesh. 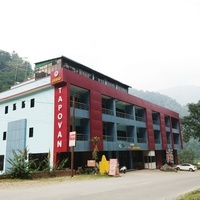 Book your travel and accommodation at this hotel in Rishikesh using the Cleartrip app or website. Can you list some hotels in north Rishikesh? 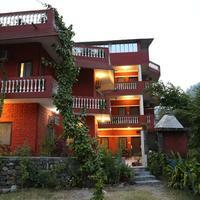 Hotel Nature Villa, Kedai Resort, AMRAAI are few hotels in North Rishikesh . 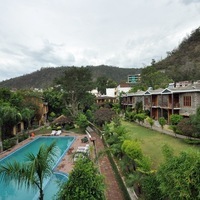 Can you name some budget hotels in Rishikesh? 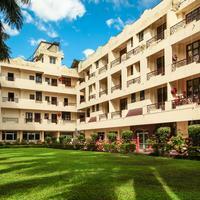 Hotel Dev Palace, Hotel Orange Classic, Kedia Resort are few budget hotels in Rishikesh. 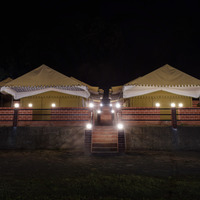 What are the 4-star hotels to stay at Rishikesh? 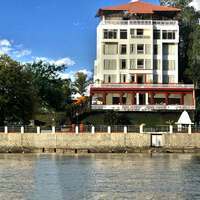 Ganga Kinare - A Riverside Boutique Hotel, Aloha on the Ganges By Leisure Hotels, and Atali Ganga are some of the top 4-star hotels in Rishikesh where you can find all the amenities. How far is Ram Jhula from Lakshman Jhula? Ram Jhula is approximately at a distance of 10 kilometers from Lakshman Jhula. One can travel by bus or cab to reach the place. Where can I enjoy best food in Rishikesh? Ira’s kitchen and tea room, the sitting elephant, Café de Goa, Bistro Nirvana, Ganga view café, Ramana’s organic café, Madras café and Little Budha café are few places where you can enjoy the taste of rishikesh cuisines. What are top places of interest in Rishikesh? Ram Jhula and Lakshman Jhula are must visit places however it depends on area of interest. If you like temples, then you can visit Trayambakeshwar Temple or Neelkanth Mahadev Temple. Can you tell me about some resorts in Rishikesh? 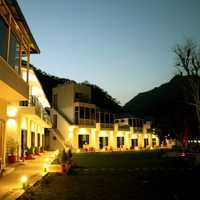 Neemrana the Glasshouse on the Ganges is one of the best resorts in Rishikesh. To book resort online , visit Cleartrip. Rishikesh is not a place for party lovers, but the vibrant cafe culture along with few places of sightseeing, makes the night enjoyable for many. One can even enjoy the night life at the time of hindu festivals, when the whole city is lit up with lights. Festivals are the ideal time to have fun at nights. Are there any hotels with spa in Rishikesh? 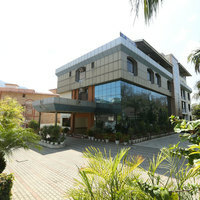 Yes, Aloha on the Ganges by Leisure Hotels is one hotel with spa facility. To book the hotel at the best price, log on to Cleartrip website or app. Is Wi-Fi available at Rishikesh hotels? 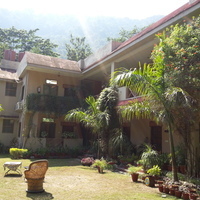 Yes, there are several hotels in Rishikesh which offer Wi-Fi access to the guests. 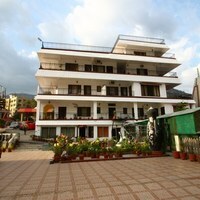 Hotel The Amaris, Narayana Palace are some of the hotels with Wi-Fi in Rishikesh. All hotels with Wi-Fi can be booked online via Cleartrip. Do hotels in Rishikesh offer pool facility? Yes, they do offer pool facility, but you must check in advance with the hotel. Check for hotels with pool in Cleartrip and you will get a list of hotels. Choose the best as per your budget and preference from the bunch. Where can I go for weekend getaways from Rishikesh? For weekend gateway from Rishikesh, one can opt for places like Kausani, Bhimtal, Kedarnath, Ranikhet, Nainital, Kufri, Mussoorie and many more.